Living with a mental health issue or chronic pain condition can easily become overwhelming, especially if they occur together. Feelings of helplessness, hopelessness, or frustration can feed into a mental illness or chronic pain condition, exacerbating existing issues. However, the old saying that knowledge is power is just as true in this area as it is in any other area of life. The internet is an immense, fantastic resource to learn more about mental illnesses, chronic pain, or anything else, but there’s another (often under-utilized) resource right up the street from most people: the library. National Library Week is April 12-18. The first National Library Week took place in 1958. The idea behind it was that people would use and support libraries once they were motivated to read. National Library Week was observed again in 1959, after which the American Library Association (ALA) Council voted to continue it as an annual celebration. The opportunities offered at libraries make them the perfect place to learn about mental health issues or chronic pain conditions. The term “mental illness” encompasses all diagnosable mental disorders, including mood and anxiety disorders, bipolar disorder, schizophrenia, addiction, and more. Few people have a true understanding of mental illnesses, despite their prevalence. In developed countries, mental illness results in more disability than any other group of illnesses, including cancer and heart disease. Approximately one in four U.S. adults have a mental illness, and nearly half of U.S. adults will develop at least one mental illness during their lifetime. Chronic pain, too, afflicts a larger portion of the population than most people realize. An estimated 100 million people in the United States suffer from chronic pain. Yet chronic pain is just as poorly understood by most people as mental illnesses. People who live with mental illness or chronic pain (or both) undoubtedly have a deeper understanding than anyone else, but that doesn’t mean that there’s no need for further research. Part of managing any disorder (rather than letting the disorder manage you) is knowing as much as possible. This includes improving health literacy – or how well patients obtain, process, and understand information about health issues, but there’s more to it than that. Knowledge is power, and knowing as much as possible about a disorder gives some of the control back to the person living with it. Lara also touches on another important aspect of living with a chronic disorder, whether it’s a mental illness or a chronic pain condition: support from others. The library is a great place to learn and research. It’s got books, journals, newspapers, reliable internet, and ready-to-help librarians. 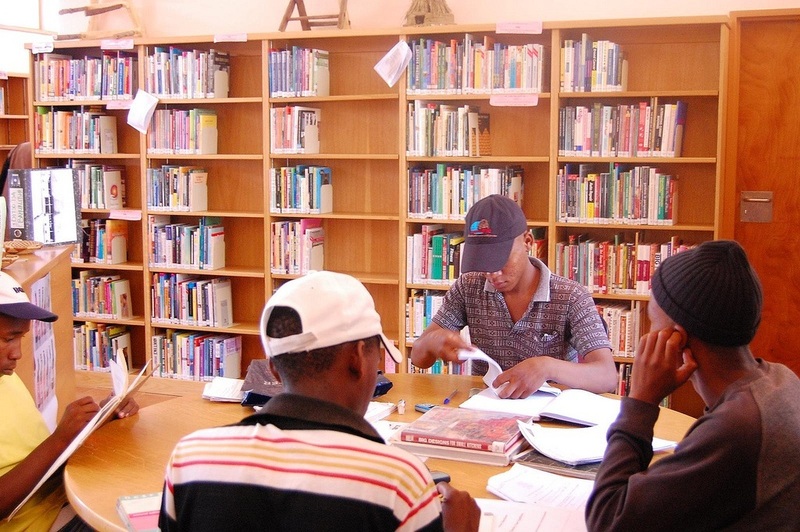 In addition to this, a library is a center of any community and can act as the central hub for a support network. Mental illness and chronic pain can both cause feelings of isolation, but there are ways to combat isolation. A big part of combating isolation is having friends and family who understand what’s going on. If you’re suffering from mental illness or chronic pain, all you have to do is let the people around you know that you could use a little support. If they have questions or aren’t sure how to help you, ask your physician for some literature, or print off material from online. If you have a family member or friend who’s dealing with issues you don’t understand, do a little homework and make it clear that you’re there for him or her whenever you’re needed. Additionally, there’s still a stigma attached to invisible illnesses like mental illness or chronic pain. This is changing, and to help it change even more, be ready to answer common questions. Educate yourself so you can educate others and be an advocate for everyone with a mental illness or a chronic pain condition. The services available at libraries can vary, so look over your local library’s website or ask a librarian about what the library can help you with. Because National Library Week is coming up, it’s the perfect time to explore the services available at your local library. Lots of libraries have services above and beyond books and computers. The Denver Public Library, for instance, has several services for those with disabilities – like homebound services and records of community resources. Many libraries have special events during National Library Week, too, so keep an eye out. If you stop in at the library during National Library Week, spend some time exploring everything available, but also consider thanking a librarian for all they do to support their community. How does your library help you live with your mental illness or chronic pain condition?